This weekend marks the midpoint of Summer 2016. In Ontario and 5 other provinces (AB, BC, SK, NB, NV) Monday, August 1st is a Civic Holiday which means a long weekend for many of us. Whether you are about to embark on a staycation or perhaps you are visiting the Nations Capital, the downtown core in Ottawa is a great destination for both residents and tourists alike. 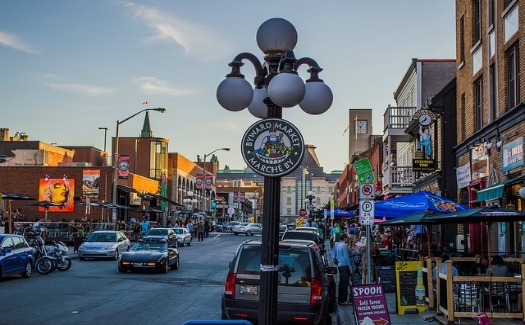 The Byward Market is a hub for restaurants , bars, galleries and of course a great place to shop. The CF Rideau Centre is a huge magnet for those who want to shop. Nordstroms, a big draw especially with their Anniversary sale, which offers brand new arrivals at sale prices. So popular is this sale it has it’s on hashtag #NSALE with over 60,000 tweets but venturing out of the mall is a must.To get a true sense of Ottawa’s character and flavor, shoppers & visitors will discover several independent boutiques that have flair, uniqueness, and personality which are worthy of a visit. Schad…is described as a Fashion Haven by many local fashionistas. The store carries many coveted designer clothing lines for both men and women. Presently they are having their summer sale where you can find some great garments at awesome price points. You will also find new fall arrivals from such popular designers as Smythe, a line which has been worn by Kate Middleton and Kate Hudson…..another favorite is The Kooples and of course, local designer Krista Norris whose scarves were gifted to the Obama girls by the Trudeau’s on a recent visit. Men can find John Varvatos, Denham and much more. Also in store, WOLF & Zed, shoe counterpart to Schad, carrying several eclectic and trendy lines such as Camper (men and women) Coclico, Cole Haan (men). STUNNING ! is another fabulous destination. This truly eclectic boutique carries many one of a kind accessory pieces that owner, Mandy, personally selects on buying trips in addition to sourcing out local talent and designing some of her own signature pieces. The store’s Instagram is true eye candy, highlighting many of these unique pieces but act fast as there usually is just one! When you visit you will find an enthusiastic style maven who is passionate about her boutique and her commitment to supporting local. Bonus , Stunning is also having its summer sale! 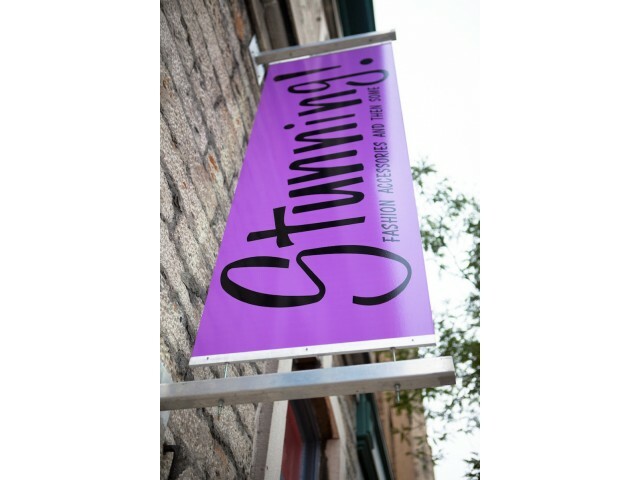 Amanda May Lingerie is an upscale lingerie store locally owned by Amanda Beaubien, carrying a wide assortment of lingerie pieces from such lines as Stella McCartney, Hanky Panky & Claudette, customers will find the emphasis is on customer service ensuring a great shopping experience . As Dolce and Gabbana said “Lingerie is the maximum expression of a woman’s feminity” and women will truly tune into their feminity wearing some of these pieces. There are many other unique finds in the Byward Market to satisfy all tastes and budgets. With a fabulous weather forecast in- store do take advantage and venture to the Byward Market and take in all that if has to offer. Let me know what your favorites are. Wishing you a Safe and Happy long weekend.